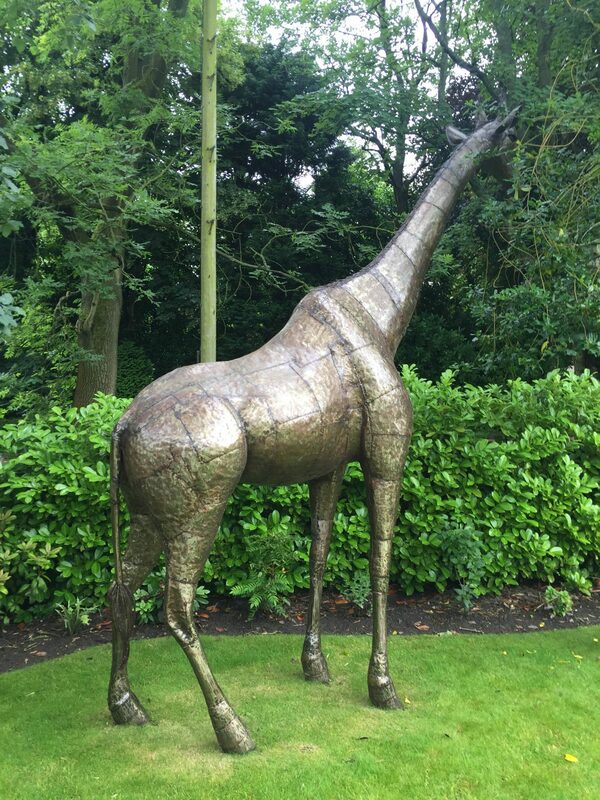 Welcome to the world of Pangea Sculptures, bringing the heart of Africa into the heart of your home and garden. At Pangea, we believe in the beauty of nature and the purity of the wild. 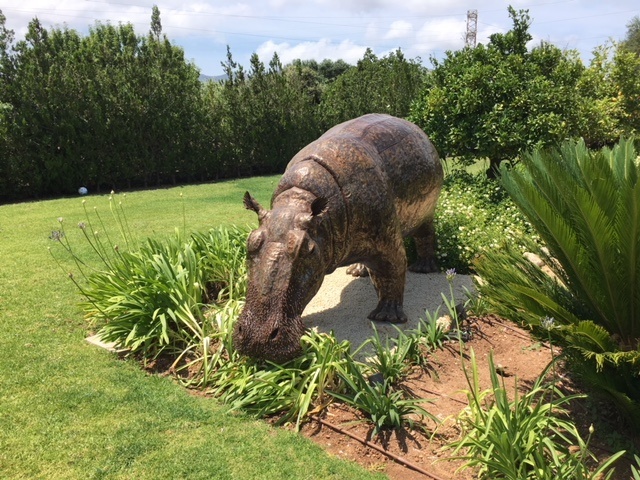 We think that everyone should be able to experience the wonder of Africa in some way, shape or form and through our range of bespoke sculptures, your garden sculpture or home sculpture will accentuate and complement your home or business. With one look at a Pangea sculpture, you instantly get a feel for the expert craftsmanship that goes into every piece. Each sculpture takes many hours to complete, with each having its own unique personality and charming quirks. 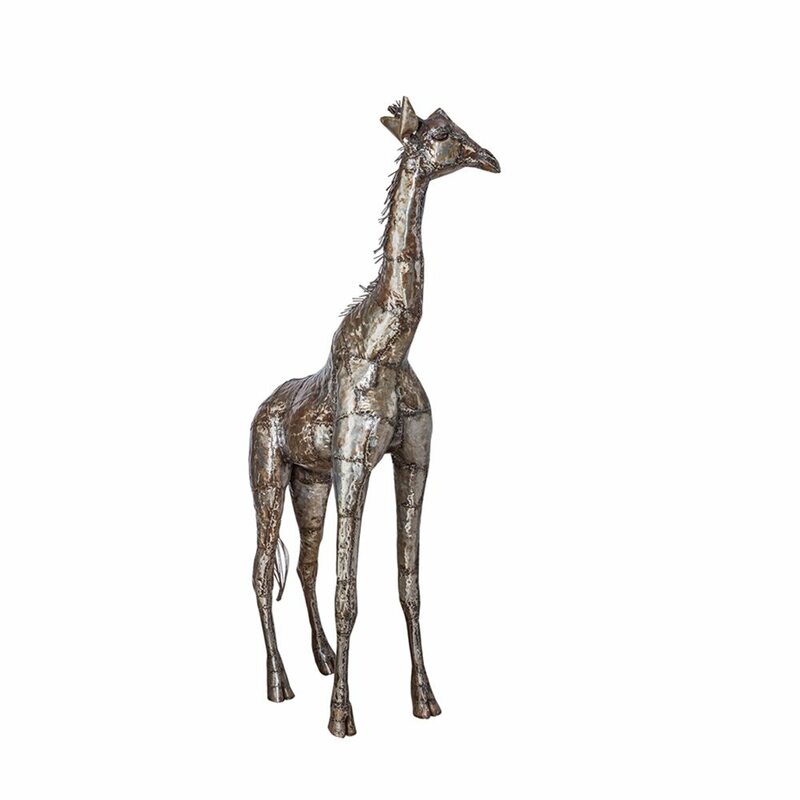 All of our sculptures are individually made by our team of artists in Kenya. 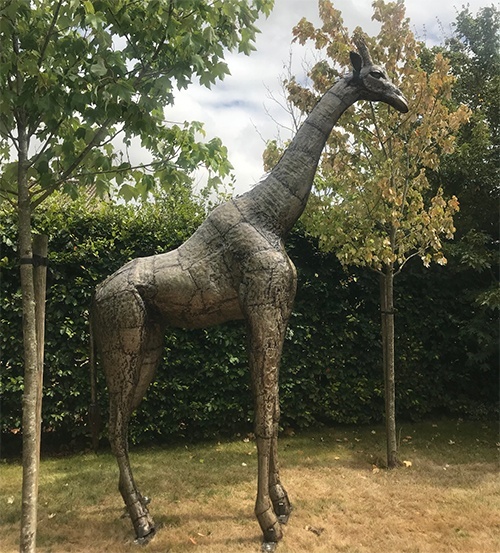 Beautifully crafted from recycled metal, our masterpieces are guaranteed to get your guests talking, because how many people can say they have their very own giraffe in their garden? 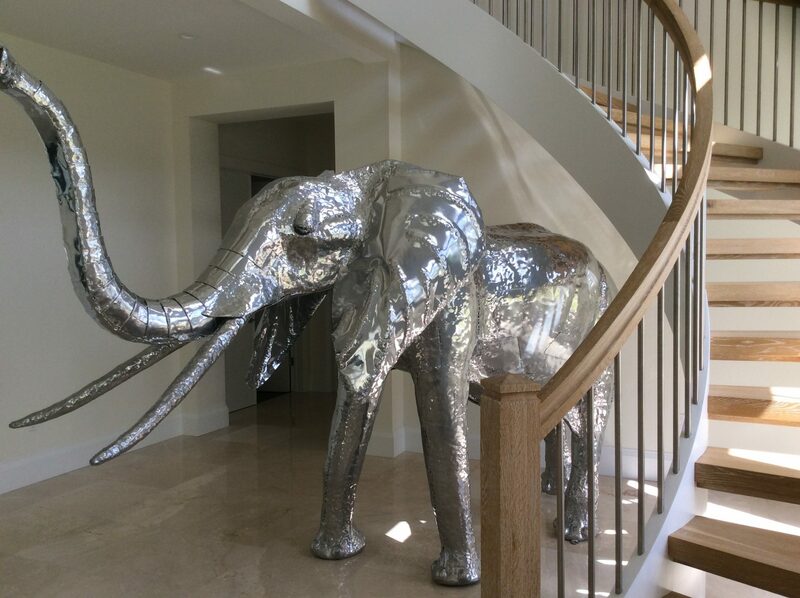 Life-size elephants, stunning crocodiles and majestic rhinos are just some of the animals available in our must-have range. The entire collection can be seen at our showroom in Lancashire or at exhibitions around the country. We know you will enjoy browsing our collection, and we look forward to seeing you soon. Inspiration for your home can come in many sizes with Pangea Sculptures. 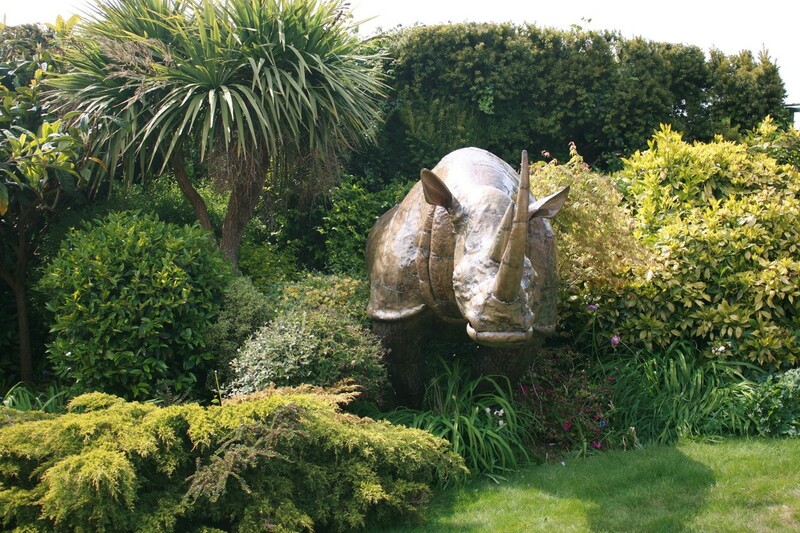 We know how to find the perfect sculpture to bring new life into your home or garden. Inspiration sometimes needs a nudge, so we have developed a range of our favourite examples of sculptures in and around the home. Whether you want your sculpture to make a statement in a grand entrance hall or need something petite to make the most of a fireplace, there are some great ideas for how best present your beloved sculpture in your home. We have also developed a range of ideas for how businesses and events can use sculpture to bring a new dimension to a workplace, showcase an event or use a public space. Outdoor spaces are brought to life with Pangea Sculptures. 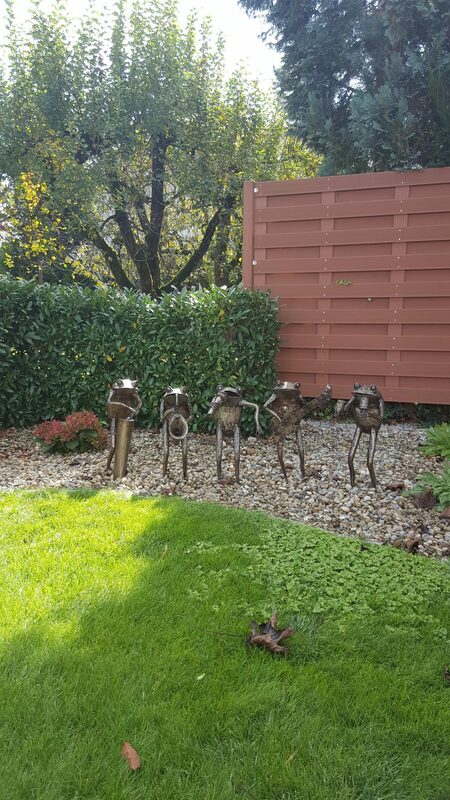 We have a range of water loving animal sculptures that work perfectly for ponds and water features. 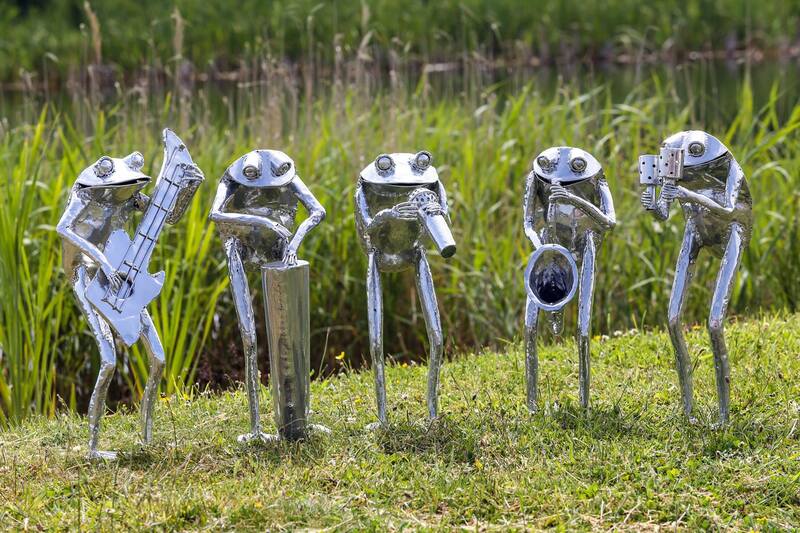 You can make a real statement with life sized crocodiles, pelicans and herons to the more comical band of 6 musical frogs. 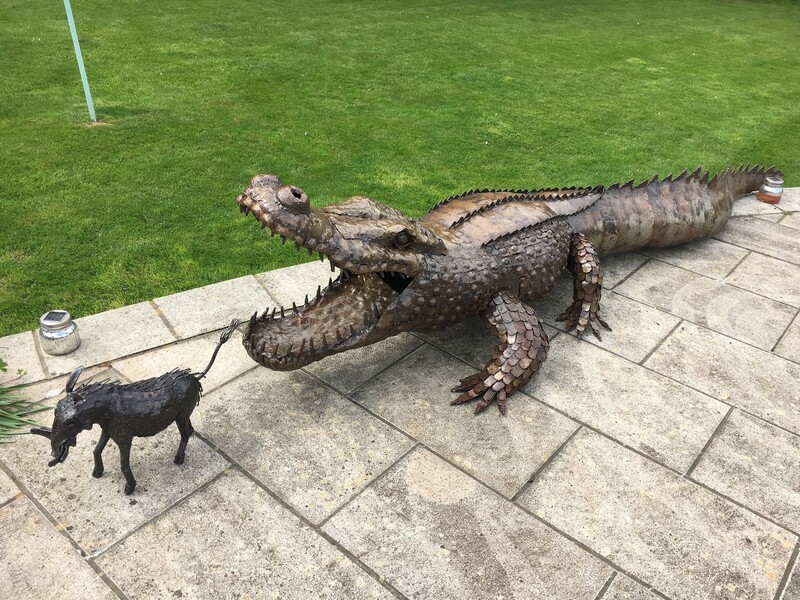 Whatever, the tone you’d like to set we have a whole menagerie of sculptures for your pond, swimming pool or water feature. Open garden landscapes with sculptures placed on the horizon bring a little of the African Savannah to the warm tones of a sunset! All pieces can be located on hard or soft ground and our fitting service is now available. I thought that I would send some photos of Gustav ( as the kids have named him) in his new habitat. My wife loves it. Thanks again for all of help with this! 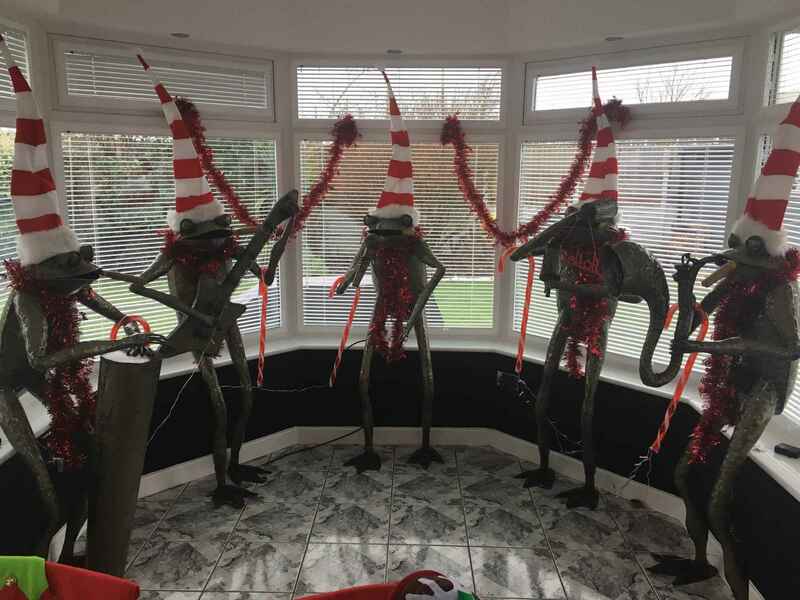 My festive frogs performing on Christmas day! Quite honestly I can say I have never been more pleased with a garden sculpture. It really does look a fine well-made specimen and has a great location in our garden. Two new members of our family! 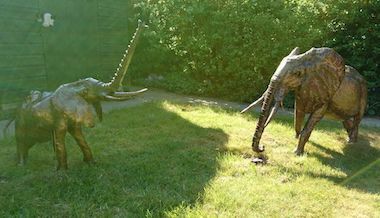 I would just like to say how thrilled we are with our two new member of our family – Edna and Sam, mother and baby elephants. 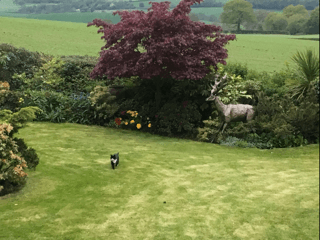 Our friends think we are mad but I just adore them both and have the biggest grin every time I look out of the window. The staff were so friendly and helpful in the amazing showroom and spent a considerable amount of time helping us choose exactly which sculptures to pick (we wanted them all!). Delivery was very quick and the delivery driver also could not have been more helpful and patient when placing the elephants in the correct location. It was an absolute pleasure doing business with your company and wish you every success in the future. Robert the Rhino (Bob) in his final resting place. 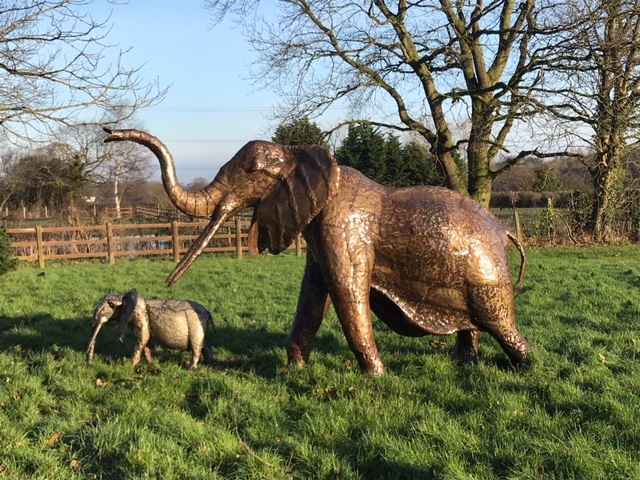 Honestly we are so delighted with our purchase, it never fails to make us smile and has become a real point of interest for all of our friends who are very keen to visit Bob, and take selfies! We have to say that the staff at Pangea dealt with our requests with the minimum of fuss. They were extremely professional and our unmarked, well packed, elephant sculpture arrived safe and sound. Great people to deal with and I wouldn’t hesitate to buy another piece in due course! Released into the wild the Giraffe sought food in the garden suburbs. It’s a bit of a jungle out there. The size looks fine in a city garden and isn’t not intrusive. The garden designer who created the garden has been sent photos as well and has declared that it’s “awesome”. 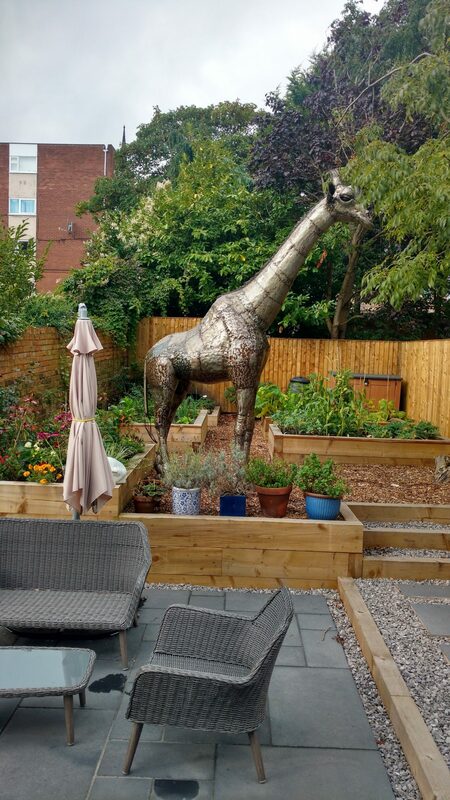 Life size Giraffe in our garden! A great reaction to it! 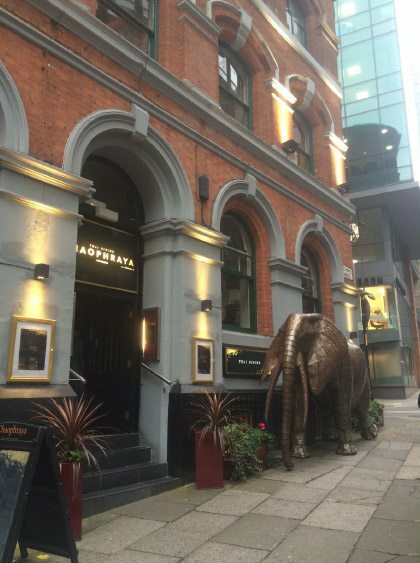 We loved the elephant, he went down a storm! “Our blog gives you all the latest from the world of Pangea. 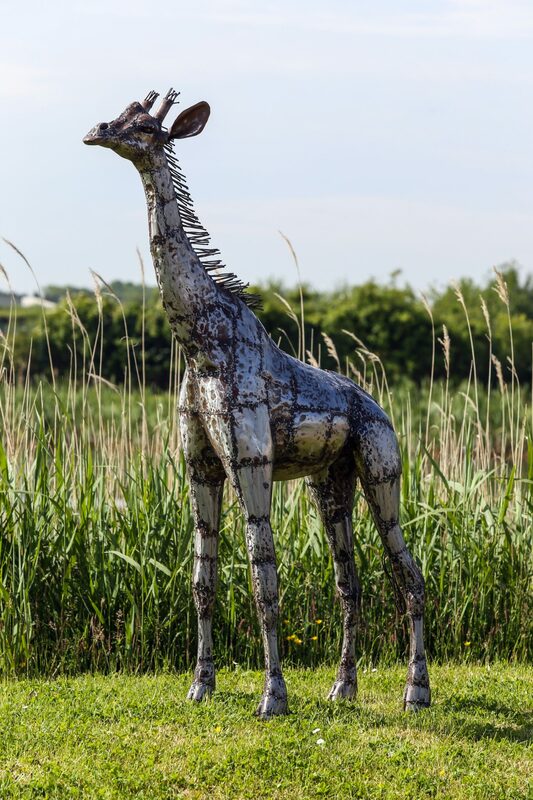 These blogs will show you the newest additions to our ever growing range of beautiful animal sculptures, giving you an insight to the fashion trends, advice and opinion for home decoration, gardening gift ideas and tips on how to care for your sculpture. Discover the continuing story of Pangea in Africa and let us introduce the talented artists that make this beautiful art…"